Tulip is investing £2.3m in its specialist snacking site at Ruskington to support increased demand for core traditional products, while enhancing its capability to bring exciting new innovations to market. 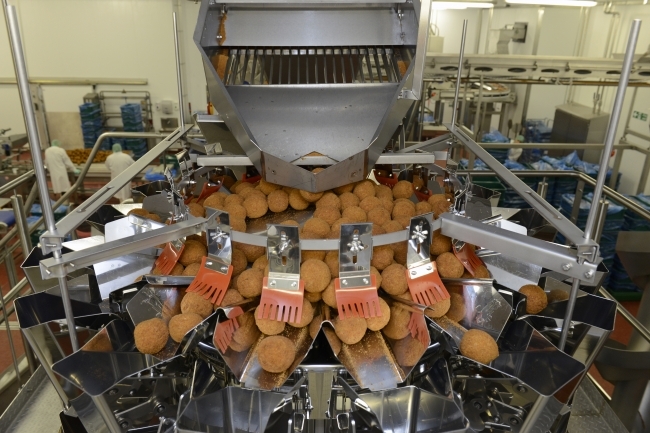 The Lincolnshire factory, which employs 450 workers, is the world’s largest Scotch egg manufacturer and the UK’s leading producer of cocktail sausages. It also produces a range of mini-filled bites and seasonal products. The investment will allow Ruskington to create a smaller specialist factory on-site to bring complex niche products developed for retailers by Tulip’s innovative NPD specialists to store quickly and efficiently. This will also provide greater capacity and capability to the production of higher volume lines, better equipping the site to meet the demands for further growth in the snacking category. Overseeing the investment will be newly appointed Site Director Ian Bagnall, who joins the company with a wealth of experience in holding leadership roles within food production. Shaun Kay, Operations Director at Tulip Ltd, said: “We’re really pleased to announce this investment at our world-leading Ruskington site. This will future-proof the site and help us lead the way on innovation alongside our retail partners. Andrew Cracknell, CEO of Tulip, added: “We have recognised how eating habits have changed including a growth in food to go and high protein snacking. Investment in our Ruskington site shows how we are driving growth in the snacking category, offering products containing a variety of protein, flavours and dips to appeal to younger consumers, whilst also future proofing more traditional snacking options. At the same time, this enhanced capability and capacity will ensure outstanding service delivery and quality levels for our customers.